I spent this cold and snow covered afternoon with Tyler Dingman. Tyler is a former student of mine when I was a youth pastor, and after graduating and spending a three month internship with us in Zambia, he has felt God's calling to come over and spend two years investing in Zambians with ACTION Zambia. 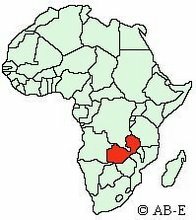 The ministry as of now in Zambia has three parts- I work with pastors, we have an HIV/AIDS training ministry and a community school part as well. They all are focused on training leaders. We also have a 20 acre property about 45 minutes of out of town which we have called Ciyanjano. This is the property we are using to provide conferences and retreats for the poor churches and ministries in town who need retreats but can't afford to have them. So, all of this comes together with all things Tyler because he is coming over to one, help begin and work with Income Generating projects at Ciyanjano so that we can have our camping ministry be self-sufficient so as to keep costs down for churches and pastors and two, begin to do income generating projects with pastors in our ministries. It is one thing to teach a pastor the Bible, but if he can't feed his family, he can't do the ministry he is being trained for. So, we are hoping Tyler can use his training, passion and creativity to help us take this important next step in our ministry. I really want you to get to know this young man by going to his blog: www.tylerdingman.com. But, before you do that, could you watch the video right below that I filmed of one of my pastors, Patson Sakala... I think you will get a picture of what I am talking about of the importance of guy like Tyler coming over here by watching the video. With the holidays coming up, if you are looking for a missionary to support either with a one time gift or a monthly support, I would encourage you to remember Tyler... Thanks again for all you support!